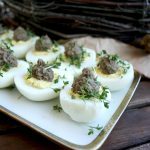 Russian Deviled Eggs with Sprats: An easy and delicious Russian recipe with only 4 ingredients with no mayo! 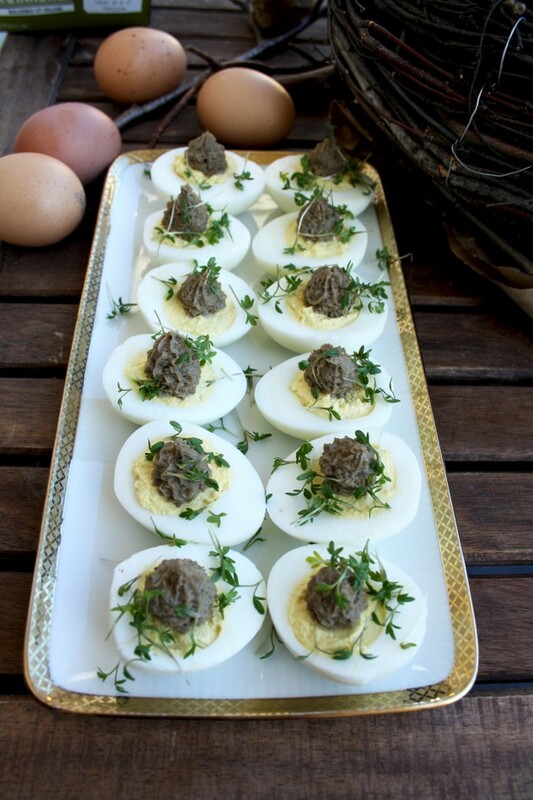 My absolute favorite Easter deviled eggs. I adopted the recipe for these Russian deviled eggs with sprats from an old Soviet cookbook “Kniga o Vkusnoi i Zdorovoi Pishe” (“Book about Tasty and Healthy Food”). Every Soviet family used to own a copy of this book at home as it was basically the only cookbook officially approved in Soviet Union. I got this book from my grandmother, with her pencil notes and bookmarks. I’m going through this book over and over again, looking at the illustrations of Soviet-era food and finding a lot of familiar dishes from my childhood with a hint of nostalgia. It’s like travelling back in time and rediscovering forgotten recipes which you used to love. So, sprats. They are one of the most popular fish species from the Baltic sea. They are small and salty and they have a rich unique taste no other fish has. You just have to try it if you haven’t already. 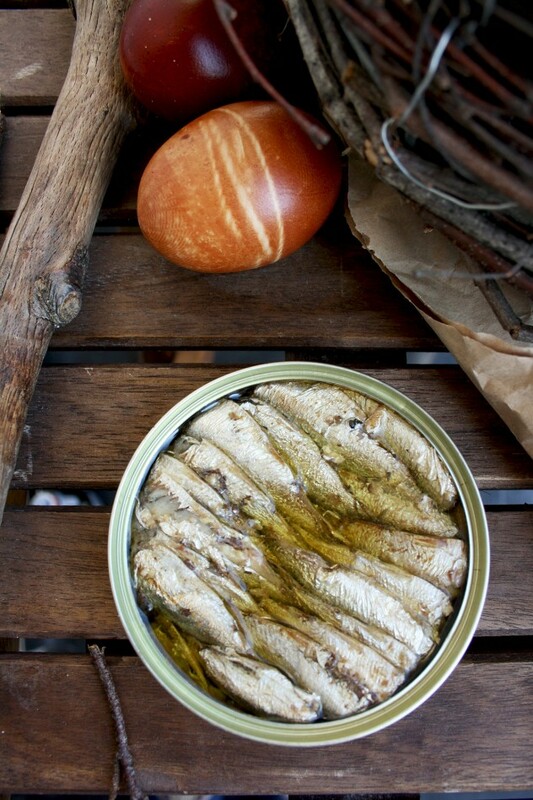 Sprats are very popular in Eastern Europe, Germany and Baltic states. They are usually smoked and canned. I bet every Russian had famous Riga sprats in one way or another, but most likely on a festive table. They are normally eaten on top of small open-faced sandwiches a.k.a. 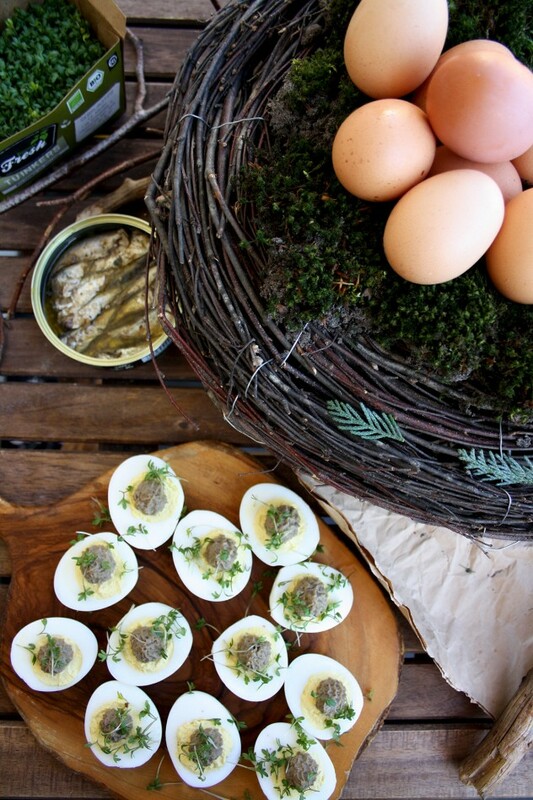 canapé or on top of deviled eggs. 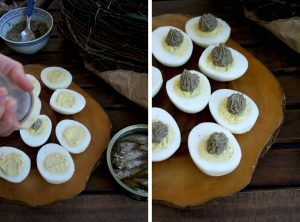 I like both but today I’m sharing a recipe for Russian deviled eggs with sprats, as Easter is around the corner! 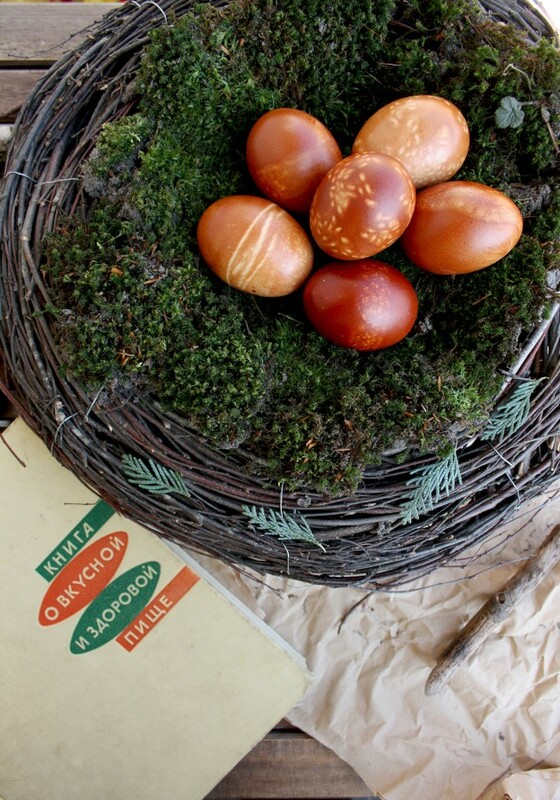 Cut the eggs lengthwise and remove the yolks with a spoon. Use a fork to mash them and add Greek yoghurt and mustard. 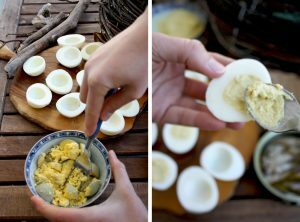 Fill the egg halves with the yolk mixture. Pulse sprats using a hand mixer or an immersion blender, adding about 2 teaspoons of oil from the can. Top the eggs with pureed sprats using a teaspoon or a pastry bag. Sprinkle with garden cress to garnish (optional). Enjoy! 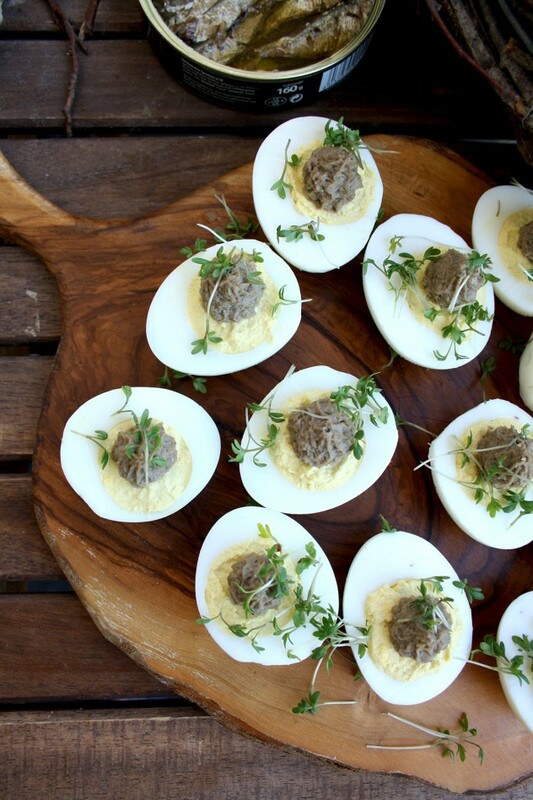 What is your favorite deviled eggs recipe? Looks really good! Very interesting – I’ve never heard of sprats. I wonder if they are similar to smelts or anchovies? I love the combination with the deviled eggs! Thank you, Patricia! You are right – sprats are not so popular outside of the Baltic region. 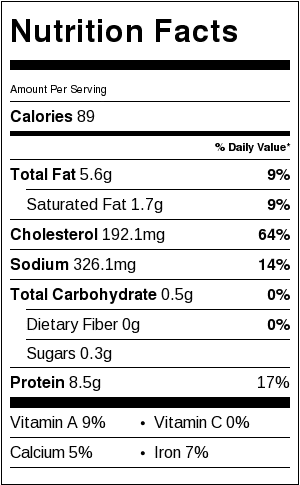 They are actually somewhere between smelts and anchovies, both in size and in taste: softer and smaller than smelts and less salty and intense than anchovies. I love them!